Robert Kaplan | What's Left? On the anniversary of the Warsaw Ghetto Uprising. No more Negative Ned. Instead of critiquing Leftist practice and politics as I often do, I’m writing about something positive and hopeful this essay. To develop some PMA. I wrote a stupider version of this critique many years ago, from which I split off my July 17, 2017, piece called “San Cristobal and Zomia, an exercise in fantasy.” And like that essay, this commentary is not an official MRR column. It’s not Hooligan canon, but apocrypha. Lenin formulated his theory of imperialism in 1900 which differentiates the world capitalist economy into the capitalist national centers of European empire and their exploited colonial periphery. In a Marxist anti-imperialist context, French social scientist Alfred Sauvy coined the term Third World in 1952 as an analog to the Third Estate of the French Revolution. Also jumping off from Leninist anti-imperialism, Mao propounded his Three Worlds Theory by 1974 in which the First World is the developed capitalist nations, the Second World is the socialist nations posing as an international alternative, and the Third World is the orthodox category of undeveloped, underdeveloped and developing nations. Starting in 1974, Immanuel Wallerstein charted the differentiation of the present world capitalist economy via the consolidation of nation-states and national economies into the fully developed core region, an undeveloped, underdeveloped and developing exploited periphery, and a semi-peripheral region in between. These tripartite schemas imply a fourth geographic tier, a Fourth World in Maoism and an outer periphery in the case of Wallerstein encompassing the marginal territories and peoples incapable of consolidating viable nation-states and national economies. The left communist critique of Third World national liberation struggles—socialist or not—is that they substitute group identity for class struggle, to the benefit of entrenched local elites. The unity and emancipation of the national, racial, or ethnic group in question is elevated above the unity and emancipation of the international working class, to the advantage of that group’s ruling class and the preservation of capital. State power replaces workers power, national self-determination replaces class self-emancipation, and anti-imperialism replaces anti-capitalism. I grew familiar with this International Communist Current-based critique during the Vietnam War. While I was impressed with the argument’s uncompromising purity I was also troubled by its lack of nuance and flexibility. Yes, the Vietnamese Communist Party was relentlessly centralizing, eventually purging and absorbing the broader, more populist Viet Cong. In the name of national unity, Communist Vietnam regularly suppressed and liquidated political dissidents (Trotskyists, anarchists), ethnic minorities (Hmong, Montagnards), and religious groups (Catholics, Buddhists). And both the NLF and NVA thought nothing of sacrificing vast numbers of Vietnamese civilians to achieve their military goals. But this was in the face of the United States, the world’s greatest military and economic superpower, which was more than willing to bomb Vietnam back to the stone age, slaughter millions of Vietnamese, pave the country over and convert it into a parking lot for capital, all in the name of “liberal democracy.” Some respect was due the Vietnamese people for their audacity and courage. The Leninist Third World and Maoist Three Worlds of the ’50s, ’60s, and ’70s has since transmogrified into a neo-Marxist dependency analysis of Global North versus Global South. From Old Left to New Left, and particularly through the anti-Vietnam War movements and the New Communist Movement, support for national self-determination became a movement unto itself called Third Worldism. Comprised of developing nations emerging from the decolonization wave after the second World War, Third Worldism sought independence from and neutrality between the US/USSR superpower rivalry, a Nonaligned Movement intent not just on international political unity but also a vanguard role for autonomous socialism. 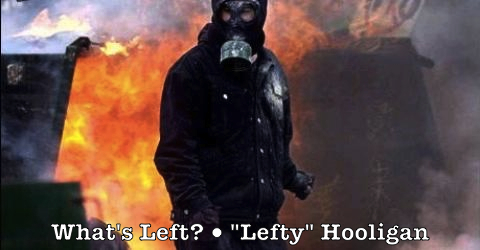 In turn, the overlapping politics of Leninist Third World, Maoist Three Worlds, and non-aligned Third Worldism entered American anarchism after 1968, so much so that by the founding of Love and Rage circa 1989, national liberation struggles were critically embraced by a growing number of left anarchists. By 1996 and L&R’s demise, they had pioneered an uncritical acceptance of Chiapas, the Zapatista Army of National Liberation (EZLN), and what would become the next wave of Third World national liberation struggles. Alternately, embracing a schematic “quadrium quid” (fourth something) has given rise to a socialism that seeks to defend “indigenous peoples, stateless ethnicities and localist/autonomist political models—the ‘Fourth World’” against the ravages of capitalism and the nation-state. [Bill Weinberg, CounterVortex] This category includes hunter-gatherer, nomadic, pastoral, and certain subsistence farming peoples living outside the modern industrial system, various sub-populations excluded socially from the present international order, and minority populations residing in First World countries with Third World living standards. Socialist Fourth Worldism champions “secular, progressive anti-imperialist forces” around the globe and therefore supports libertarian socialist national liberation struggles, indigenous secessionist movements, and non-state resistance movements for local autonomy all fighting against the current world order. Fourth Worldism has its problems, like Third Worldism, starting with its uncomfortable proximity to Fascism. Nazi Germany and Fascist Italy proclaimed solidarity with “proletarian nations” against “bourgeois nations,” post war neo-fascism defended a “third way” beyond capitalism and Marxism, and Keith Preston’s white nationalist fascism calls itself pan-secessionism. The negative territory where Third World and Fourth World overlap brings to mind Robert Kaplan’s dystopian realpolitik in his essay The Coming Anarchy, which he subtitled ““how scarcity, crime, overpopulation, tribalism, and disease are rapidly destroying the social fabric of our planet” and which augers the rapid disintegration of existing nation-states. Gone are dreams of world revolution and socialist internationalism, replaced by the nightmare of ever-increasing fragmentation and powerlessness in the face of world capitalism. Or as Nicole Aschoff paraphrased in Jacobin #19 when critiquing “the small-scale, community-based models pushed by many international NGOs, who increasingly work hand-in-glove with multinational corporations and project the interests of Northern governments,” small is not necessarily beautiful. Third World national liberation struggles also have fraught relationships with imperialism. Returning to Vietnam, the country was a client state of the Soviet Union, practices an Indochinese-wide imperialism, and often views its highland Fourth World peoples as threats. And Fourth World struggles have sometimes been allied with imperialism in response to repressive national liberation struggles—Montagnards in Vietnam, Hmong in Laos, Miskito in Nicaragua, ronda compesina in Peru, etc. Even contradictions between the EZLN and the Lacandons in Chiapas represent this conflict. I’m dubious that a Maoist Third World will eventually rise up, surround, and overwhelm the capitalist First World in a town vs country struggle analogy, much less the possibility of some decentralized people’s war of global liberation against what Subcomandante Marcos (Rafael Sebastián Guillén Vicente/Subcomandante Galeano) called neoliberalism’s and globalization’s Fourth World War: It is not only in the mountains of southeastern Mexico that neoliberalism is being resisted. In other regions of Mexico, in Latin America, in the United States and in Canada, in the Europe of the Maastricht Treaty, in Africa, in Asia, and in Oceania, pockets of resistance are multiplying. Each has its own history, its specificities, its similarities, its demands, its struggles, its successes. If humanity wants to survive and improve, its only hope resides in these pockets made up of the excluded, the left-for-dead, the ‘disposable.’ But there is a positive territory where Third and Fourth Worlds overlap. Marcos comes out of the Latin American politics of indigenismo with an indigenous Marxism—an indigenous politics of the poor and working class—although he himself realizes that any Fourth World liberation will be piecemeal, if it happens at all. In my estimation such a liberation movement is, at best, a desperate rear-guard action hoping for mere survival in a world where capitalism threatens extinction and the nation-state portends annihilation. The EZLN’s practice of horizontal autonomy, mutual aid, indigenous Mayan leadership, women’s independence, and mandar obedeciendo in Chiapas are exemplary and inspirational, but remain largely curtailed. The EZLN originated from the Ejército Insurgente Mexicano (Mexican Insurgent Army) and César Germán Yáñez Muñoz’s Fuerzas de Liberación Nacional (Forces of National Liberation) in the late 1960s and early 1970s. Both the EIM and the FLN were orthodox Marxist-Leninist guerrilla forces of a decidedly Guevaraist bent that experienced ideological and organizational changes as they skirmished unsuccessfully against the Mexican state. The EZLN’s theory and practice evolved from decades of struggle—both social and armed—with Marcos being the Zapatista’s most prominent but by no means its sole leader. The situation of Kurdish Rojava is related but different, starting with Abdullah Öcalan’s Partiya Karkerên Kurdistanê (Kurdistan Workers’ Party). The PKK was rabidly Marxist-Leninist to the point of Stalinism/Maoism, with Öcalan creating a cult of personality around himself that would have made Stalin envious. Indeed, Stalin and Öcalan both favored the adoring nickname “uncle.” Öcalan and the PKK have been accused of engaging in intense ideological conflict, and at times open warfare against Kurdish tribal, right-wing, moderate, and Marxist elements. In becoming a paramilitary group, the PKK not only spearheaded integrating women into its guerrilla forces, it pioneered the use of female suicide bombers. As a founding member of the ultra-Maoist Revolutionary Internationalist Movement (RIM) the PKK advocated for a scorched earth “people’s war” strategy that rivaled Peru’s Shining Path/Sendero Luminoso in its violence. The de facto autonomous region of Rojava in northern Syria is comprised of three self-governing Kurdish cantons (Afrin, Jazira, and Kobanî); defended in large part by the PKK-affiliated People’s Defense Units (YPG/J); and conferred by fiat with democratic confederalist politics by Chairman Öcalan. Democratic confederalism is the contrasting paradigm of the oppressed people. Democratic confederalism is a non-state social paradigm. It is not controlled by a state. At the same time, democratic confederalism is the cultural organizational blueprint of a democratic nation. Democratic confederalism is based on grassroots participation. Its decision making processes lie with the communities. Higher levels only serve the coordination and implementation of the will of the communities that send their delegates to the general assemblies. Originally derived from Murray Bookchin’s libertarian municipalism, democratic confederalism may have been bestowed upon Rojava by democratic centralist diktat. But Rojava and the YPG/J remain intimately entwined with the political fights between a myriad Kurdish parties, not to mention the overall nationalist struggle for a greater Kurdistan. Both the ostensibly libertarian socialist political systems of Chiapas and Rojava champion women’s liberation, bottom-up autonomy, and assembly-style popular democracy. The EZLN’s socialism developed organically and gradually while the YPG/J’s was imposed almost overnight by decree. 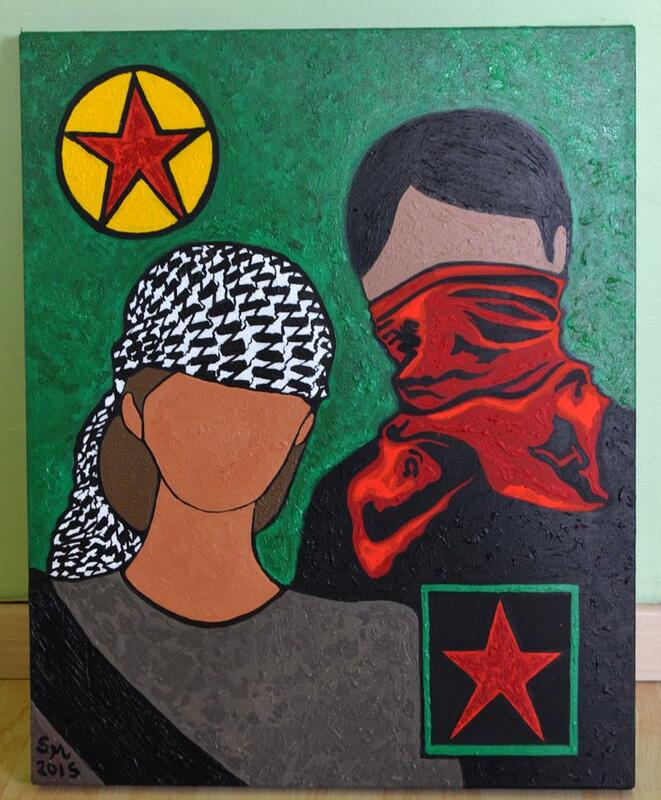 And whereas the EZLN/Chiapas struggle remains localized and contained, thus tending toward anarchism, the YPG/Rojava struggle continues to extend regionally and nationally, thus tending toward the nation-state. Both the EZLN and currently the PKK/YPG unequivocally reject Leninism, though neither are explicitly anarchist. The putative synthesis of Third World with Fourth World, of anarchism with libertarian Marxism being pioneered in Chiapas and Rojava are admirable and potentially far reaching. Whether they are capable of winning remains to be seen. Please let me know if there are any dead links. My monthly column for Maximum Rocknroll. Copies of 1% FREE can be purchased from Barnes & Noble POD, and the ebook can be had at Barnes & Noble ebook. The physical book is $18.95 and the ebook is $4.99. Downloads of END TIME can be purchased from SMASHWORDS.